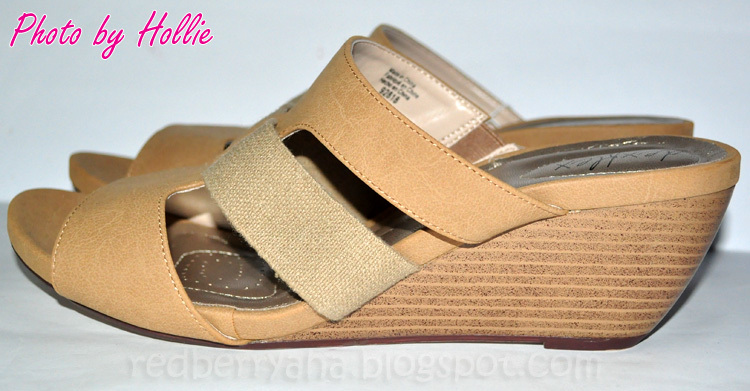 I recently bought another pair of wedge shoes from Payless Shoe Source. I never would have thought that it's so comfortable to wear. This is the Havane Vent Wedge in Tan from Deflex line by DEXTER. I got this for Php1,250.00 from the Payless Shoe Source in Ayala Center Cebu. Although the price a bit steep, I really didn't regret buying this because I can pair it with almost any outfit. Deflex by Dexter features memory foam insoles which offers two layers bounce back for extra comfort. It has extra cushioning which relieves pressure points in ball and heel of foot. Lastly, it has flexible outsole for ease of movement. I'm a size 10 so my go to store for shoes is Payless since they offer big shoes sizes. I always get frustrated when I search for shoes because most brands here in Philippines only carries size 9 as the biggest shoe size for women. Love Payless too! They have a lot of floral wedges now, perfect for summer! Just hate that size 6 always have limited choices than others.